"Stunning custom home with breathtaking views of the valley and coastal mountain range. This 3 bedroom, 2.5 bath home features a split floorplan, an office with custom built-ins, separate family and living rooms, along with a 3 car garage and numerous upgrades. Step through the front doors and enjoy the custom Red Oak flooring throughout, beautiful cabinetry from Westgate Hardwoods, interior and exterior paint by Larry Williams, and gorgeous quartz counters. The upgrades to this home have been well thought out and include new electrical, new plumbing fixtures, custom tile in master bathroom, built-in speakers inside and on the patio, Gutterdome rain gutters, and a new commercial grade HVAC installed in August of 2018. Do not miss out on this incredible home." 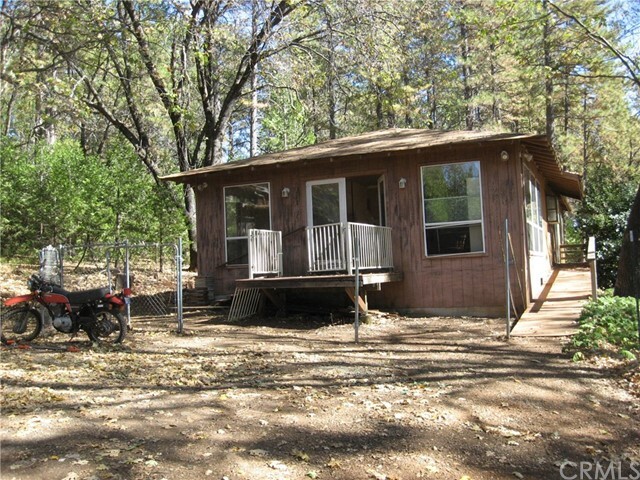 "Sweeping sunrise canyon views only 13 minutes out of Chico! Welcome to the desirable Humboldt Highlands gated community which offers lush green landscape, an association pool, community storage and stunning views of the canyon. This custom built one owner home is ready for it's new owner to come in and make this their forever home. Featuring 3 bedrooms 2 full bathrooms and 2 half bathrooms, this home is abundant in space and natural lighting. Upon entering the home you will admire the beamed ceilings, formal living/dining and a step down into the soaring wood beamed ceilings of the great room/kitchen area. The views out all back windows take in the beautiful setting and out on the deck you can look down the canyon all the way to the Sutter Butte mountain range. At the front of the home you will find the large master suite featuring two walk in closets, an over sized bathroom with walk in shower and a soaking tub and also a private entrance out to courtyard. The well managed association this home is within makes for a serene setting just minutes from the city. In addition to the pool & common area, there is storage units at the north end along with RV/Toy storage. Homes in this subdivision don't come along very often, so call for your private tour before it's gone!" "Country setting, house with many duel pane windows all with great views + great lighting * house has a great flow with vaulted ceilings on 2.5 acres fully fenced usable land with gate in a private setting with cleaner air * Kitchen has center island, lots of cabinets with pantry * Potential RV hookup * Forth bedroom potential in house + detached building with a bathroom + wall unit * House has central heat + air * Free standing woodstove with glass door * Large master suite * Large laundry room with sink and lots of cabinets * Covered front porch * Cement patio with access to hot tub off a bedroom * Circular drive-way * Many blooming flowers, various trees: 4 apple trees, cedar, furs, dog wood, oak, pine + Japanese Maple * 5 ceiling fans * Wood shed." 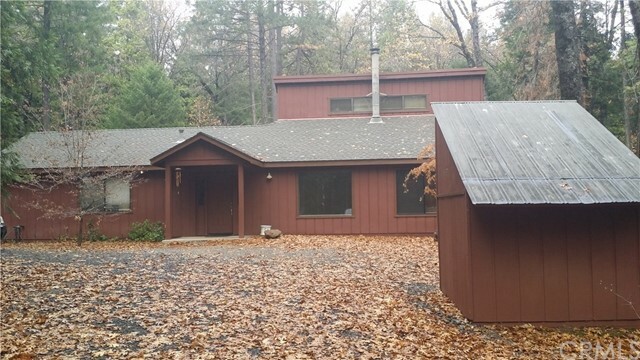 "Mountain air, tranquil views, serene setting, and so much more can be yours with this custom 3bd/2ba home on 5 privately situated acres, in the Sierra Nevada foothills, east of Chico. This 2007 built home features; vaulted ceilings, laminate floors throughout, custom tile work, dual-pane windows, central heat and air, bonus swamp cooler, whole house fan, inside laundry, and on-demand hot water heater. The large living room and beautiful kitchen with custom cabinets and separate pantry will be equally perfect for entertaining guests or cozy time at home. Plenty of room to keep your cars or projects in the large garage featuring a tile floor with built in work bench and cabinets. 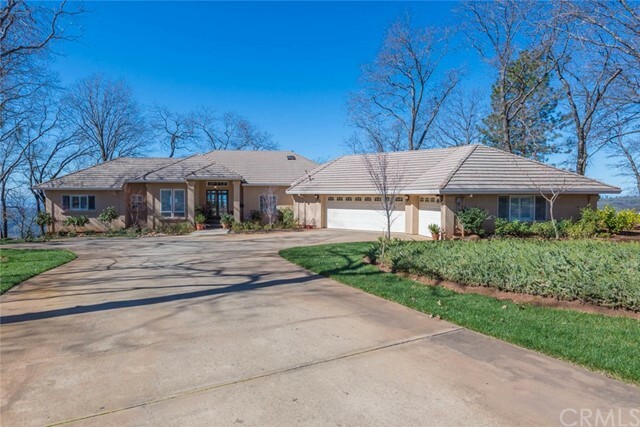 Beautiful natural and planted landscaping areas surround the home with ample garden areas, a 20x24 shop building, garden shed, stamped brick-pattern concrete, and large deck area w/ shade structure. Property has room to accommodate horses and/or RV parking. The property also has a 710 ft deep, private well with 2500 gal holding tank. If you have ever dreamed of enjoying a rural oasis this may be the home you ve been dreaming about!" 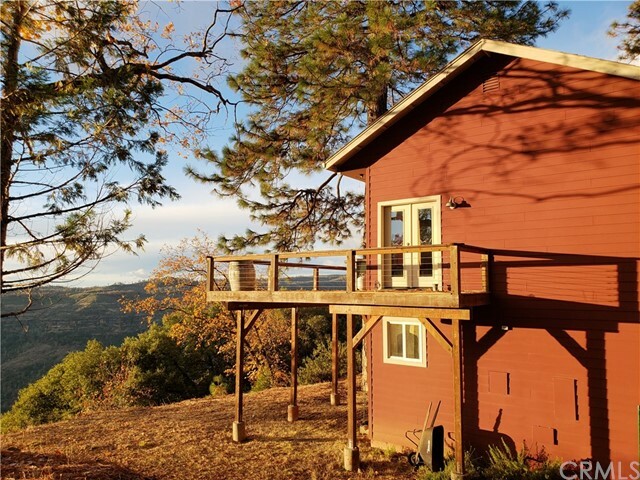 "Spectacular views await you of Big Chico Creek Canyon, the Sacramento Valley, and the coast range beyond! 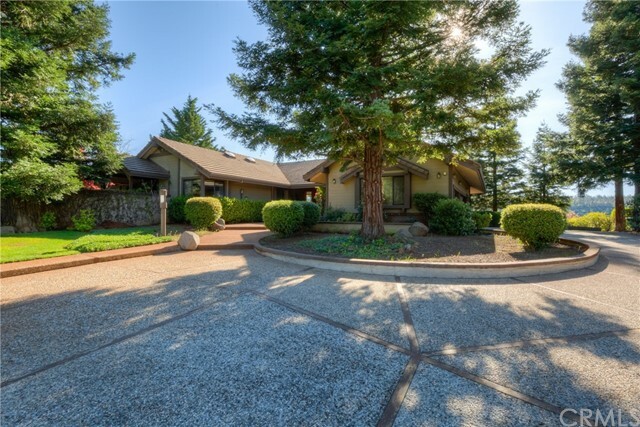 This unique 5.52 acre, view property is conveniently located near downtown Forest Ranch and less than a 15 minute drive to Chico. 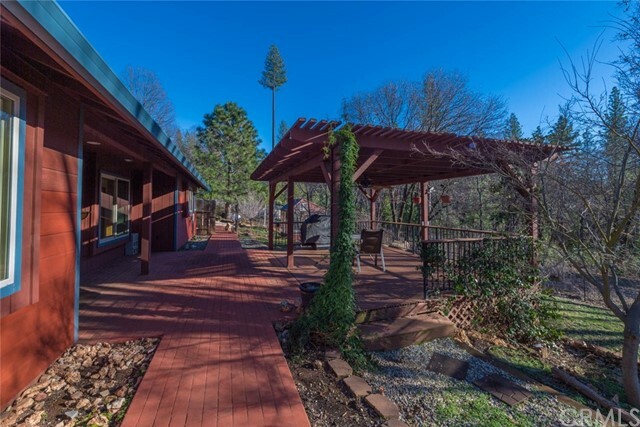 The second-story, 2007, studio-like home has fantastic views from every window and the large deck. The home features vaulted ceilings, skylights, large kitchen, fireplace, separate laundry room, walk-in closet, loft storage area, and upgraded finishes. The home is situated above the over-sized, three-car garage. Property also features two fenced garden areas and is privately situated on private road with shared well. Come make this special property your home!" "On the market for the first time in over forty years! 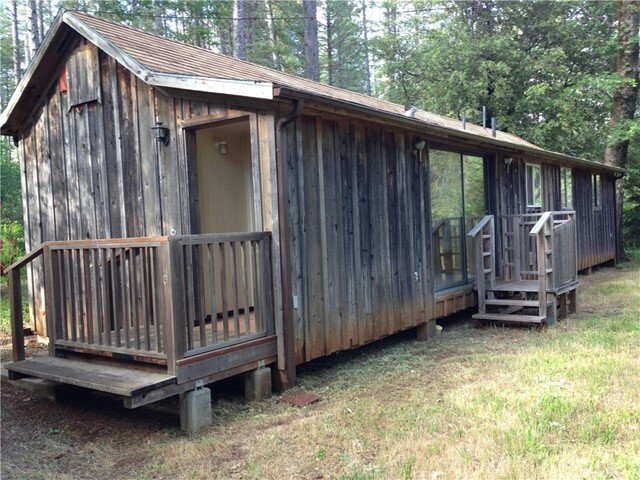 Located among the mighty oaks and huge pine trees sits this charming 1 bed, 1 bath home on 4.46 acres. Updated electrical and plumbing, double pane windows, large laundry/utility room, inviting brick hearth ready for a wood stove, and a newer propane wall heater. This unique property features a seasonal creek, mature fruit trees, (cherry, apple, and pear), huge blackberry patch, beautiful chestnut tree and endless potential! Property is fully fenced with two gated entrances, detached 2 car garage/shop on a concrete slab with power. Great southern exposure for the gardener enthusiast. Live in the home while building a dream home or keep it as your rustic retreat. Estimated square footage is approximately 860 sq. ft, buyer to verify. The information contained herein has been obtained through sources deemed reliable but cannot be guaranteed as to its accuracy. Lot size taken from public records. Buyer is advised to investigate to their satisfaction."